California’s opening meeting law, the Ralph M. Brown Act, had long been in place when Gann’s measure passed. But the Legislature decided in 1986 that, to make the promise of open meetings real, local governments should post their agendas 72 hours before meetings, giving citizens advance notice of what subjects would be debated and decided, so that they could be present to participate if they wished. Local governments insisted this was a mandate. If you insist on making us keep our voters in the loop on what we are doing, you have to pay us to do it, local governments said. By any standard, this is craziness. 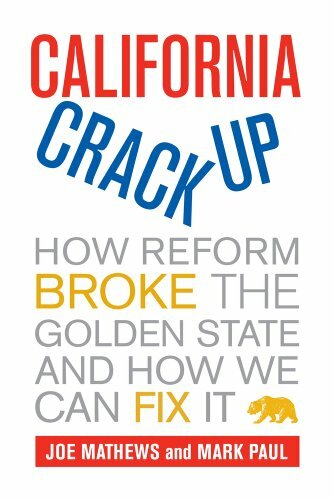 Local governments are not sovereign; they are creatures of the state of California. The state made them, created their boundaries or the procedures by which their boundaries were set, gave them particular powers and duties, wrote the rules by which they are expected to operate. Yet under the Gann rule the state can’t require the local governments it can create or destroy to do something as simple as post agendas of public meetings—something that everyone seems to agree is necessary to good government—unless it pays for the agenda-posting with dollars collected from state taxpayers. But the craziness doesn’t end there, because the previous sentence isn’t exactly true. State taxpayers don’t always have to pay the costs of new state mandates on local government. They only have to pay them if the mandate comes in a state law enacted by the Legislature and governor. If the state law is enacted voters by the initiative, state taxpayers aren’t on the hook for the cost of the mandate they impose at the ballot box. Which is something voters have always been happy to do. And that is how this issue of open government is likely to be resolved. Voters will declare at the ballot box, either through the provision in Gov. Brown’s Prop 30 or a later standalone measure, that they want their meeting agendas. The state constitution, already a behemoth, will thereby grown longer and more complex. And California will keep trying to live with the craziness.